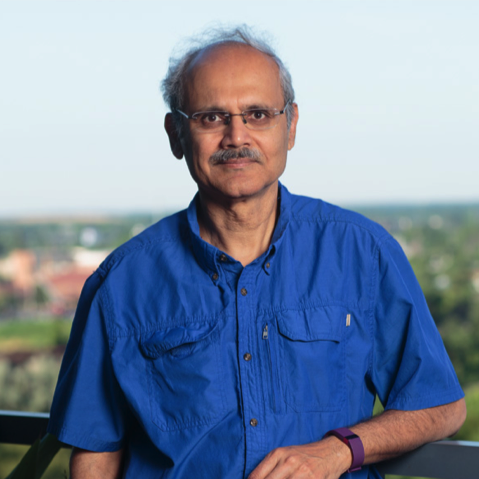 COLUMBUS, Ohio—Prabir Dutta, Distinguished University Professor of Chemistry at The Ohio State University, has been elected to the rank of National Academy of Inventors (NAI) Fellow. With 16 patents granted and 12 pending, Dutta has won numerous awards related to his inventions, including three spots on the prestigious R&D 100 list, which salutes the best inventions to emerge from industry, government and academia each year. Much of his work concerns innovative forms of zeolite, one of a family of porous minerals that are often used as water softeners or to create gasoline from crude oil. Zeolites are referred to as “molecular sieves” because they contain tiny cage-like structures that can capture some chemicals while letting others filter through. The cages can also be the site of storage of molecules and metals and novel chemical reactions. Dutta’s startup company, ZeoVation, has licensed three patents from Ohio State related to special forms of zeolites and their use in consumer applications. The first products of ZeoVation are focused on sunscreens and antimicrobial agents. "This recognition is another proof point of Dr. Dutta’s phenomenal work, and also speaks to the type of innovation that is being supported by The Ohio State University,” said Tom Walker, CEO of Rev1 Ventures, the Midwest’s leading venture fund. “Dr. Dutta embodies the spirt of the Columbus region and his work has a direct impact on aspiring and seasoned entrepreneurs in Central Ohio and nationwide. This is yet another reason why Rev1 is a proud partner of Ohio State as we know they play such a vital role in the advancement of innovations and the overall growth of Ohio's startup economy." In addition, biomedical startup Spirosure Inc. is commercializing one of Dutta’s gas sensors as a breath sensor for people with asthma, a condition that affects more than 26 million Americans. The breath sensor is being marketed in Europe, and Spirosure is awaiting FDA approval for sale in the US. SensorComm, another startup company, has licensed his inventions to make sensors for environmental monitoring. Several other companies are currently in discussions with the Technology Commercialization Office at Ohio State regarding Dutta’s patents for sensors for automotive applications. The NAI was founded in 2010 to recognize and encourage inventors with patents issued from the U.S. Patent and Trademark Office, enhance the visibility of academic technology and innovation, encourage the disclosure of intellectual property, educate and mentor innovative students, and translate the inventions of its members to benefit society. With the election of the 2017 class there are now 912 NAI Fellows, representing over 250 research universities and governmental and nonprofit research institutes. Including Dutta, Ohio State now boasts eight NAI Fellows in areas as diverse as chemical engineering, electrical engineering, agriculture and veterinary medicine. Dutta will be inducted into the NAI at a ceremony on April 5, 2018, in Washington, D.C. Fellows will also be highlighted in Jan. 19, 2018, issue of The Chronicle of Higher Education and in an upcoming issue of Science and Technology and Innovation, Journal of the National Academy of Inventors.